​Surrey County Netball Association is asking for your help in saying a massive thank you to our huge volunteer workforce. 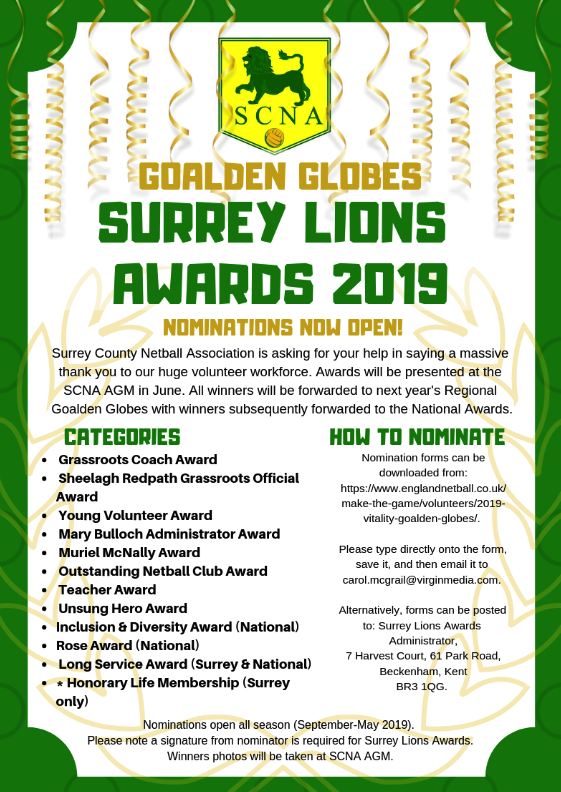 The Surrey Lions Awards 2019 nominations are now open! There are 12 different categories that you can nominate people for. You can download the nomination forms above. You can type directly onto the form, save it and then email it to carol.mcgrail@virginmedia.com.